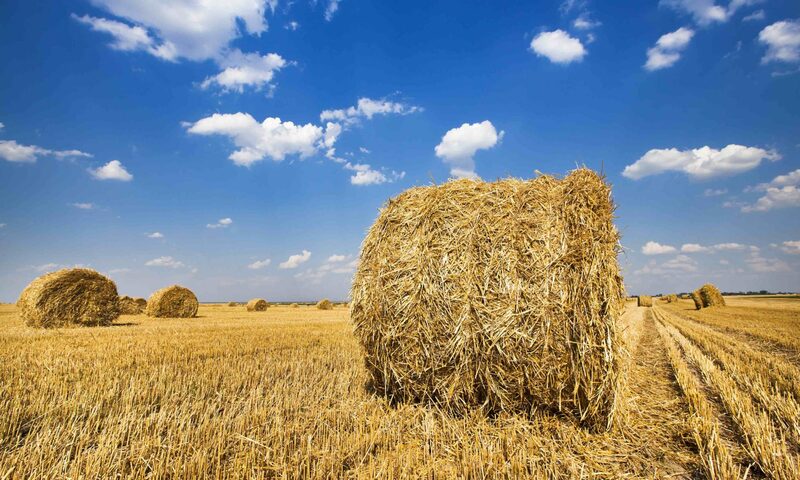 The Federal Ministry of Education and Research (BMBF) is providing up to 15 million € over the next five years to the Plant³ Alliance for a bio-based structural change in Mecklenburg-Western Pomerania. The aim of the joint project is to process and upgrade plant raw materials for a new drive in eastern Mecklenburg-Western Pomerania. The economically, socially and ecologically sustainable use of the huge land, peatland and sea areas in the eastern part of Mecklenburg-Western Pomerania holds a considerable potential of added value that has so far been insufficiently exploited. Legumes, such as the blue sweet lupin, are a valuable source of protein in agriculture for further processing in the food industry. Reeds and bulrushes (Typha) from rewetted bogs supply fibres for new building and insulating materials. High-quality special sugars from marine algae, which are used in pharmaceuticals and cosmetics, among other things, could be an additional source of income for fishermen in the future. The centre of knowledge is located in Greifswald and forms a focal point for bioeconomy stakeholders: There is research expertise bundled at the University of Greifswald, a business incubator at the WITENO GmbH and highly innovative small and medium-sized enterprises (SMEs) such as Enzymicals AG. It is supported by the business location Anklam with the sugar factory, Anklam Extrakt GmbH and Continental AG. “The replacement of an economy based on fossil resources by the use of bio-based resources and biological processes offers a historic opportunity to achieve immense added value locally to our region being no longer the extended workbench for other regions with exporting of agricultural raw materials,” says Dr. Stefan Seiberling from the University of Greifswald, who coordinated the successful application consortium of more than 60 companies, associations, farmers, public administrations, universities and research institutions. “The initiative has already developed a very good dynamic, which I have never experienced before in Pomerania”, explains Rolf Kammann, Managing Director of the Wirtschaftsfördergesellschaft Vorpommern. “The participatory approach, the involvement of all actors from fishermen to farmers who supply the valuable raw materials to the biotechnology company which extracts ingredients out of them, which in turn are used in the food, construction, energy or textile industries in the region, is our key contribution to structural change in eastern Mecklenburg-Western Pomerania. The core of the open innovation network is an innovation management system which, with the support of all stakeholders, identifies the needs in the region and develops project ideas and supports their exploitation. The innovation management is flanked by a so-called Plant³ greenhouse, which as an incubator and accelerator for innovative projects is a core element of cooperation and the creation of innovation capability. “We are developing new instruments to sprout ideas and create competitive start-ups that will fill the Centre for Life Science and Plasma Technology with life in the future,” says Dr. Wolfgang Blank, Managing Director of WITENO GmbH. A think tank will scientifically accompany the development of new value chains and provide impulses for strategic development based on scientific analysis. “Bioeconomy is a great opportunity, especially for our structurally weak rural area,” emphasizes Prof. Daniel Schiller, speaker for the Plant³ network. “The aim is to examine success factors and barriers to innovative products and processes at the operational and regional level and thereby improve the innovative capacity of the players in the Plant³ network. The Alliance Plant³ – Strategies for the high-quality refinement of plant-based raw materials in North-East Germany – is promoted by the Federal Ministry of Education and Research within the framework of the programme WIR! – Wandel durch Innovation in der Region (Change through innovation in the region). The WIR! projects are intended to use innovative approaches to promote structural change in their regions. The programme is primarily aimed at regions that are not yet visible innovation centers. Roskilde University as representative for all BioBIGG partners signed a Letter of Intent to support the Plant³ alliance. A first get together with BioBIGG and Plant³ partners will be at the conference in Anklam in November 2019. Why do we have a network?